A business honcho, James K. Irving is one of the well-known names of the most successful businessmen in Canada. The owner of J.D. 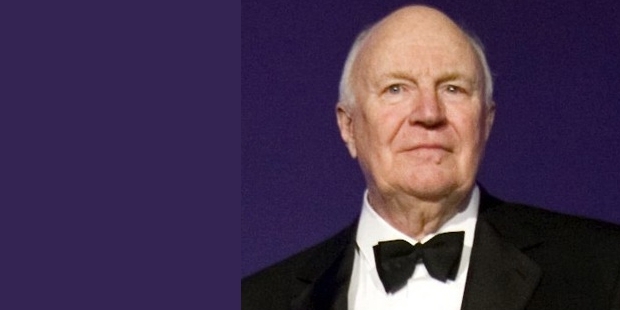 Irving, a business that operates a number of companies in retail, frozen foods, transportation, ship building etc., James owns more than 260,000 acres of land in Nova Scotia, and has planted over 877 million trees under his forestry and timber operation. He is the oldest son of K.C. Irving, an industrialist. Forbes ranked James and his brother Arthur Irving as the 4th richest businessmen in Canada, and among the wealthiest people in the world. At present, he is one of the leading industrialists in Canada. 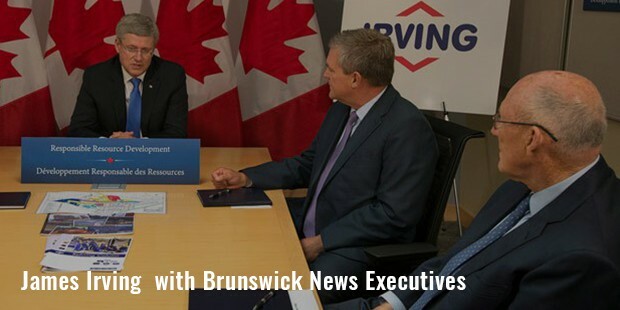 Irving is the owner of one of the largest diversified companies in Atlantic Canada, with over 300 vertically integrated subsidiaries within its group. After his father’s death, he inherited Brunswick News, which was one of the most renowned publishing companies at that time. He also became the owner of J.D. Irving Ltd., a conglomerate that his grandfather, J.D. Irving had started. The company has interests in several businesses, including natural gas, oil, gas stations, paper products, timber, construction, shipbuilding, building supplies, agriculture, radio stations, newspapers, and also a Hockey League team of Canada.In 1957, James started tree improvement and reforestation programs through his company, with which he has also expanded his business in forest products. Since then, his company has planted over 877 million trees in Canada. 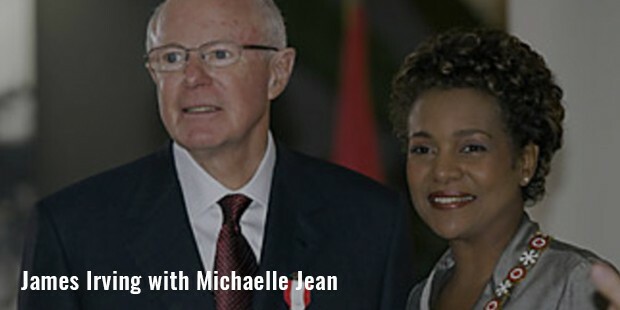 In 1996, James was made Canadian Officer of Order, and in 2008, became the Member of Order of News Brunswick, as well as Canadian Hall of Fame. James also takes part in numerous philanthropic activities to keep New Brunswick, his home province, advanced and updated. He also frequently gets involved in programs to preserve Salmon of the Atlantic in north-eastern North America. James started Parters Assisting Local Schools (PALS) program for local school kids in Saint John NB. The Irving business empire was started by only one man, K.C. 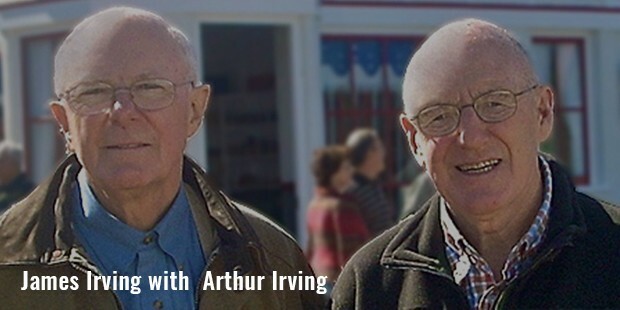 Irving, but today it is run by so many younger successors in the family. Every generation has left a significant contribution expanding the business. As James Irving has grown older now, his sons and daughters have taken the responsibility of taking over the business. Jim Jr., his eldest son, runs everyday operations of their forestry business. Robert, another son of James, oversees Moncton branch operations of the company, including controls from groceries to transportation. Judy, James’ elder daughter, has strong control over marketing. She was the owner of Hawk Communications earlier, and then sold it to two of her employees. Mary Jean, James’ younger daughter, is a major landowner in East Coast, and runs a packaging business in Moncton, and potato farms in PEI.With so many operations, and so many hands to help him, James Irving has no stopping to his success, and the expansion of his empire.